Acupuncture for pain control is ideal for the person who has acute pain, or chronic pain from spinal arthritis causing lower back pain, sciatica, neck and headaches. Using either traditional acupuncture or acupressure it is possible to develop a plan for chronic pain management and often get natural pain relief far superior to continued use of dangerous and habit forming drugs. In addition to being a retired chiropractor, I also earned the title of a Diplomate acupuncturist and taught acupuncture on the post-graduate level to medical doctors, dentists, veterinarians and chiropractors from all over the world. 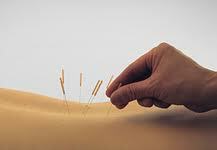 The subject of acupuncture treatment for natural pain relief and arthritis pain relief is near and dear to me. I used acupuncture treatment tens of thousands of times for things like sciatica pain relief, cluster headaches, and various joint pain relief strategies. Most of these cases, like all other acupuncturists in the U.S., were people who had their chronic pain problems for years and did not respond to standard medical practice, but responded to acupuncture or acupressure. In this discussion I will present options to the reader so that many of these basic acupuncture low back and neck pain procedures can be done using only the fingertips. Using only fingertips stimulation on acupuncture points, or acupressure, anyone can reduce or eliminate chronic or acute pain in minutes. Read on for information about treatment with acupuncture or acupressure because it can be extremely effective in many kinds of low back and neck pain situations. 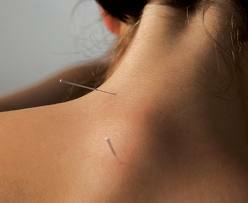 Acupuncture is just one part of a 5,000 year-old oriental healing tradition that includes massage, herbs, and exercise. Acupuncture treatment principles can be applied by inserting fine needles to stimulate specific points on the surface of the body, or by using any method to stimulate those same points on the skin – as with fingertip pressure and deep massage when it is known as acupressure. Within this system of oriental health care the presence of the acupuncture needle, or other surface stimulus, modifies energy flow within the deeper tissue to assist the natural process of healing from within. From ancient to modern times, every known culture from Eskimos, jungle dwellers, to Europeans in the Alps have used some form or variation of acupuncture treatment. You bet acupuncture works: That is why it has been used billions of times over the last 5000 years, and has been accepted by the medical profession and is practiced in all hospitals and universities in this country. It is the primary method of health care in many parts of the world today, and is fast gaining acceptance and use in the modern world, for one extremely simple idea: It works, even though science has not determined all the details of how the body responds when an acupuncture point is stimulated. I could discuss hundreds of acupuncture research papers and examples explaining how and why it works that have been done by the medical research community, but they can be boring and extremely technical. All that is really needed to mention, as a bottom line explanation of how acupuncture works is this: Any stimulation of a known acupuncture point by a needle, your finger tip, a magnet, an electric current, or a dozen other ways will stimulate the brain to produce a certain category of chemicals known as called endorphins and encephalin, that are chemical messengers that control and modify the process of healing and pain reduction. After many decades of rejecting the ability of acupuncture or acupressure to treat pain and increase the ability to heal and repair, research from outside the U.S. finally discovered that it is the release of endorphins and encephalins from the brain triggered by stimulating an acupuncture point that causes the body to reduce the pain message or begin a complex healing response. One of the many ways to trigger an endorphin or encephalin release is to insert an acupuncture needle into an acupuncture point. The ancient Chinese may have merely stumbled on an easy and simple way to start a complicated chemical process in the brain they knew nothing about. Frankly, I have no idea how my car or TV work. But that does not stop me from using them. There are many obvious benefits to using acupuncture for chronic pain management, like the pain control it provides when nothing else helps, or the fact that there are no known side effects to this form of health care, or that is so often fast and easy to control a bad situation like a hot lower back pain treatment using a half dozen well placed acupuncture needles. Perhaps this is why Americans visit the offices of acupuncturists 15 million times a year. However, there are other less obvious but perhaps more important benefits of acupuncture treatment that make it even more attractive to the average chronic pain sufferer. Since many of the acupuncture points on the surface of the body are used over and over again, it is possible for a person to learn which points are stimulated by needle and then just simply massage or apply pressure to these same points at home. In this way the acupuncture points can be stimulated as frequently as needed, at any time of the day and on any day of the week. Using acupuncture helps to reduce or eliminate the need for taking over the counter and prescription drugs, helping to avoid exposure and dependence on drugs that all have side effects; in this way a person can stay healthier longer. Lastly, a person who uses simple self-care acupressure techniques learns to appreciate a whole different level of health care and understanding how the body works best with as little outside interference as possible.